Godrej Properties hit an all-time high of Rs 936, up 5 per cent on Wednesday, surging 15 per cent in past two trading days, after the Mumbai-based real estate developer recorded its best-ever quarterly sales performance in the January-March quarter (Q4FY19). The stock surpassed its previous high of Rs 917 recorded on May 8, 2018 in intra-day trade. DLF has rallied 5 per cent to Rs 210, extending its previous day's 2 per cent gain on the NSE. The stock was trading at its highest level since September 18, 2018, quoting close to its 52-week high of Rs 226 hit on April 27, 2018 in intra-day deal. Last week, DLF had successfully raised Rs 3,173 crore through qualified institutional placement (QIP). Investors like Oppenheimer Global Fund, Society Generale, BNP Paribas, Morgan Stanley France, Copthall Mauritius Investment and Stichting Depositary APG Emerging Markets allotted the shares in the offer. Analysts at HDFC Securities have ‘buy’ rating on the stock with a target price of Rs 264 per share. 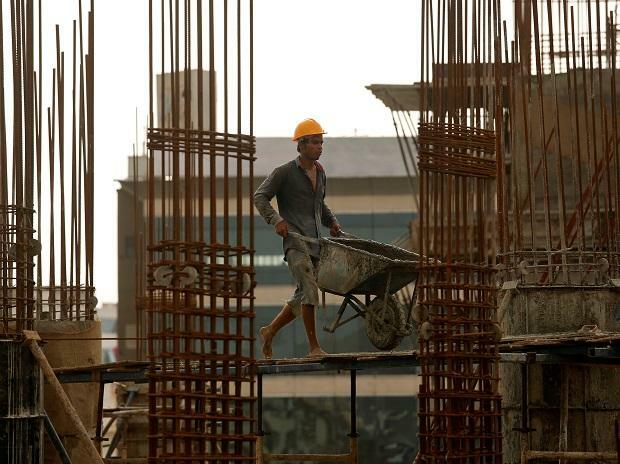 “While the National devco projects are now portraying an uptick in volumes, DLF hopes for a similar turnaround in its ‘Rest of Gurgaon’ projects (inventory of around Rs 3,650 crore), which are still reeling under pressure from inventory oversupply. With Phase V inventory gradually diminishing (around Rs 5,750 crore), DLF is planning for new launches there,” the brokerage firm said in Q3FY19 results review.